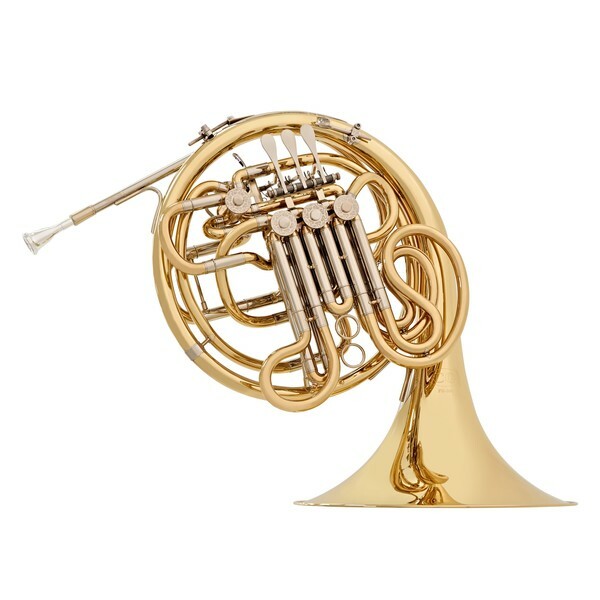 The Coppergate Double French Horn is an ideal step-up instrument for advancing players. Featuring a gold brass body and double wrap instrument, this horn will allow you to play the most complex of repertoire, with a silky and centered tone. The horn features easy to maintain rod mechanisms, protective hand guard and an adjustable thumb hook for an ergonomic feel when playing. 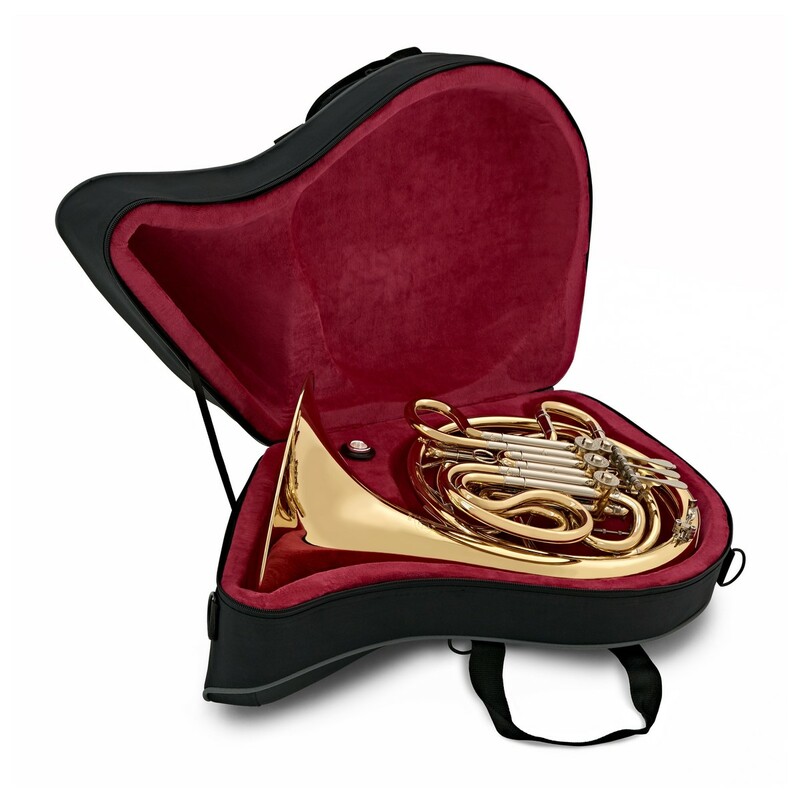 Included with the horn is a hard foam case with soft red lining, to effectively protect the body and finish of this instrument. 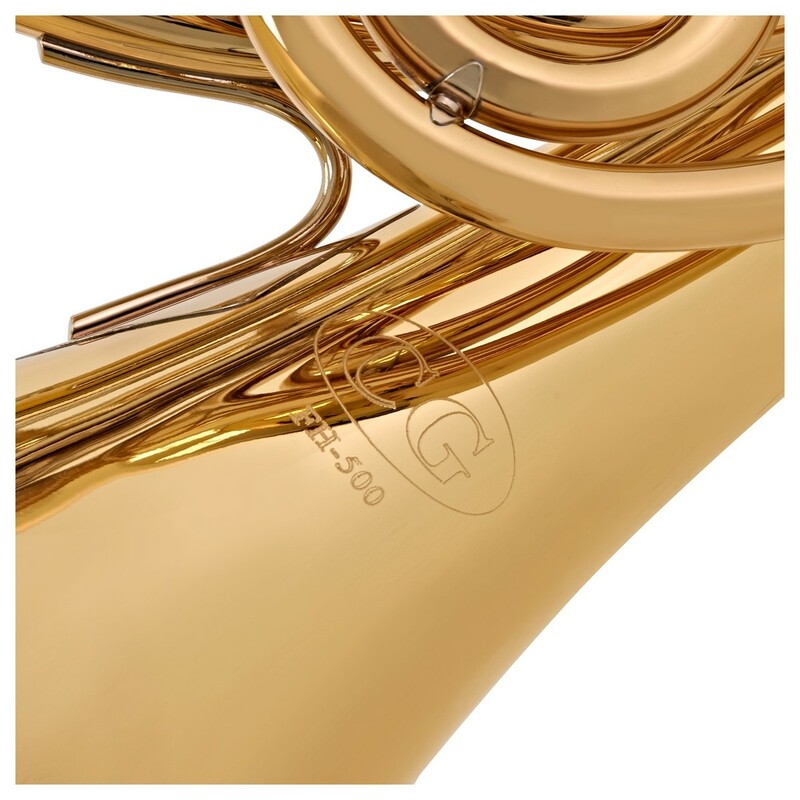 The Coppergate Double French Horn, by Gear4music uses a high quality rod mechanism to attach the keys to the rotary valves. Rod mechanisms are much easier to maintain than traditional string methods, allowing less time setting up and more time playing. Fully adjustable, this standard metal rod mechanism can be ergonomically adapted to suit any player. 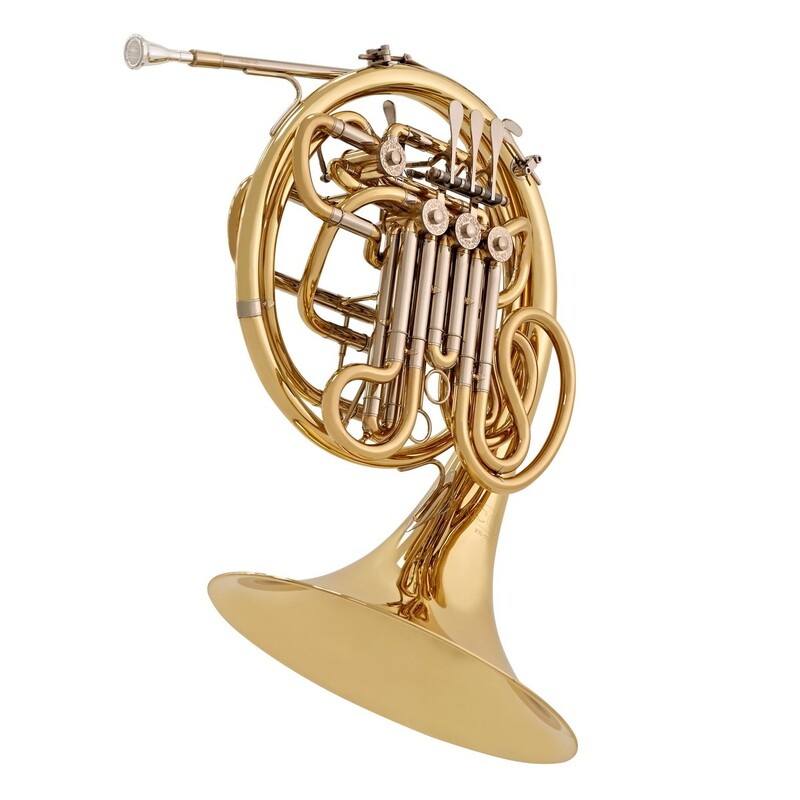 The Coppergate Double French Horn includes a 4th valve which enables you to change between the keys of F and Bb with just the press of a key. A fully adjustable 4th valve means that the valve can be swapped around, allowing for F to Bb conversion or Bb to F. This enables the performer to be able to get a range of low notes from the instrument, but also enables you to transpose music very easily. This horn features a gold brass bell, which gives a darker and sweeter tone than a yellow brass model. As well as that, the non-detachable bell creates a better resonance and tonal core, meaning that the sound can be projected clearly and cleanly. 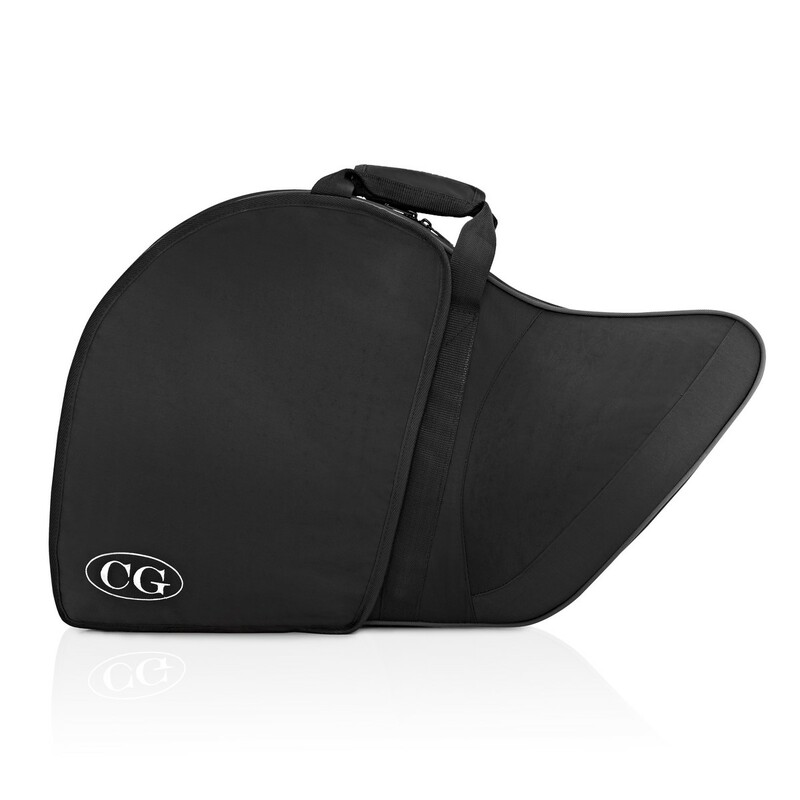 The Coppergate Double Horn includes a compact lightweight case with sturdy shoulder straps. The case includes two external pockets and a separate internal bell compartment. 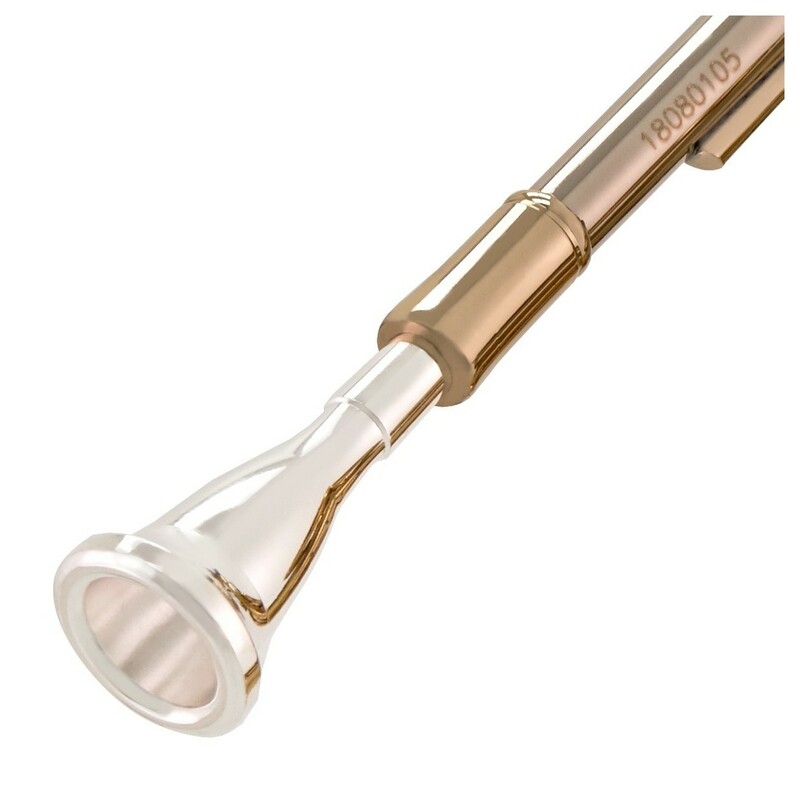 The instrument also includes a mouthpiece so you can get playing straight away. 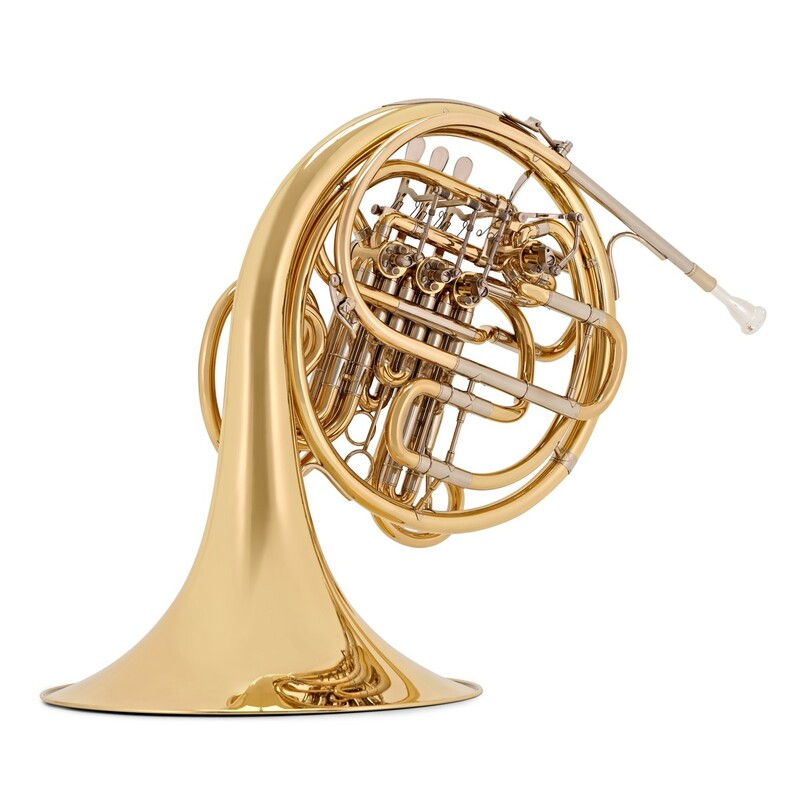 Coppergate brass instruments are elegant and refined. They are hand-crafted to exact specifications and they offer a professional level of quality and playability. 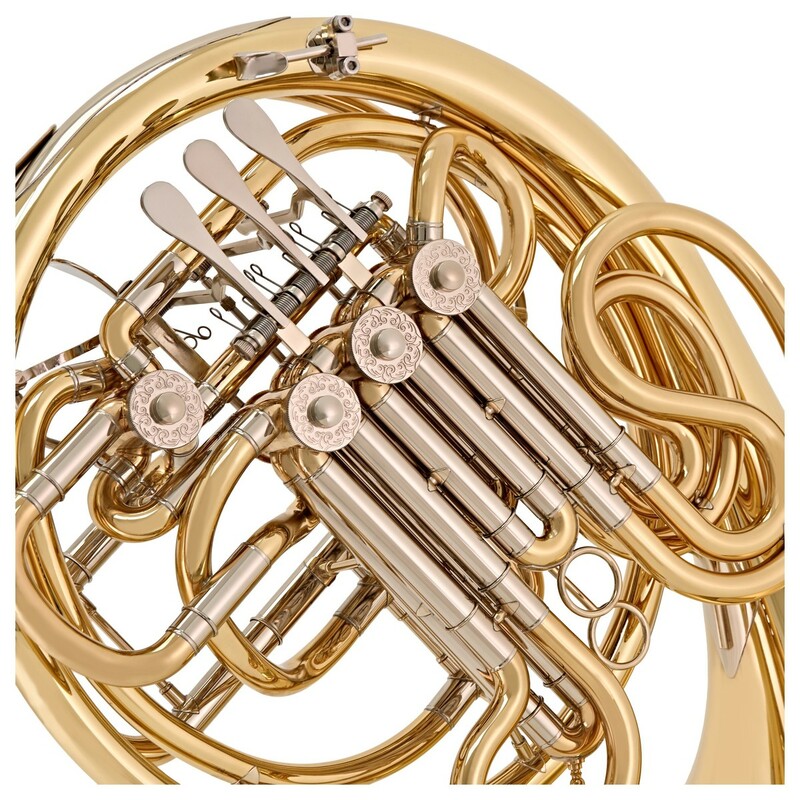 With a range that covers trumpets, cornets, tenor, and baritone and French horns, euphoniums, trombones and tubas, Coppergate offer a diverse selection of premium brass instruments that enable performers to step to the next level of music.